DESIGNED TO INSPIRE. ENGINEERED TO EXCITE. Soul Red Crystal Metallic paint was inspired by the glow of intensely heated metal. Learn more about what defines Mazda. FOUR MAZDAS. FOUR TOP SAFETY PICK RATINGS. Our engineers work tirelessly with the goal of creating the most eye-catching, exhilarating vehicles on the road. And now, we want to celebrate them for something truly special. 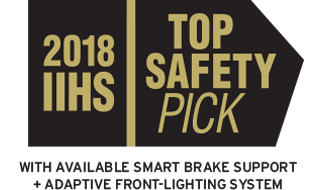 The 2018 Mazda CX-5, 2018 Mazda3, 2018 Mazda CX-3 and 2018 Mazda CX-9 were each named a 2018 IIHS Top Safety Pick when equipped with available Smart Brake Support3 and Adaptive Front-lighting System. Because, our goal is to make you feel as confident as possible behind the wheel. More control. More comfort. More exhilaration. Every journey made a little more refined. Transforming both drive and driver. Assemble the Mazda that fits your every need. Use this tool to discover the perfect Mazda for you. Get special offers on the incredible full lineup of Mazda vehicles now. 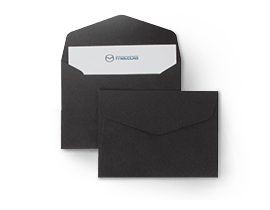 Get all the information you need to find a dealer that will help you with your Mazda experience. Schedule an appointment to come in for a test drive. Some automakers create paint colors and textures without considering the form of their car. We take a completely different approach. Our goal is to create colors that complement every curve of a Mazda, giving it even more depth, richness and luster—replicating a premium, hand-painted aesthetic. Click to find out more about our unique paint process. AWD models shown with Premium Package. European model shown. Consumer Reports does not endorse products or services. Smart Brake Support operates under certain conditions above 10 mph. It is not a substitute for safe and attentive driving. Factors including movement and shape of the object in front of the vehicle, weather and road conditions can all impact automatic brake control and collision warning. Please see your Owner's Manual for further details.